Kids like stickers. Long before I ever had kids of my own, when working as an occupational therapist, if I want to get a child’s attention I would pull out stickers. With my own children I’ve continued to see joy, excitement, and interest when I pull out stickers. This can be a great starting point and also a time of and reinforcement when teaching the Bible. 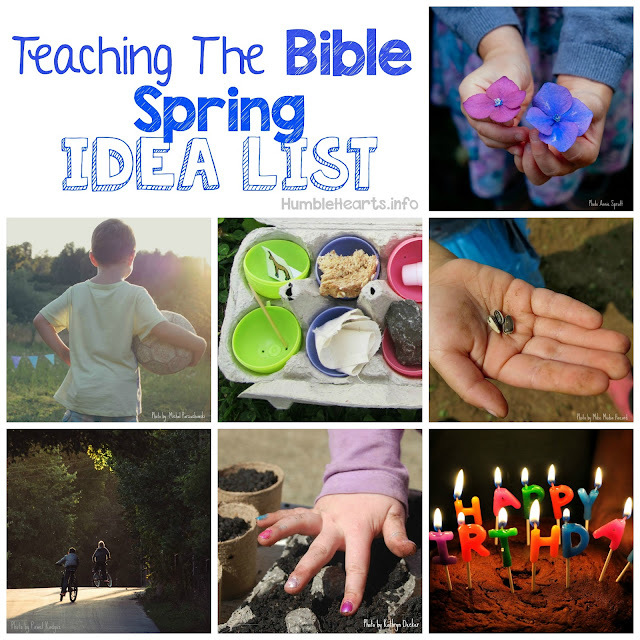 Goal: Use what your child is interested in as a starting point for teaching your child something from God’s Word. In this case it is something as simple as stickers. 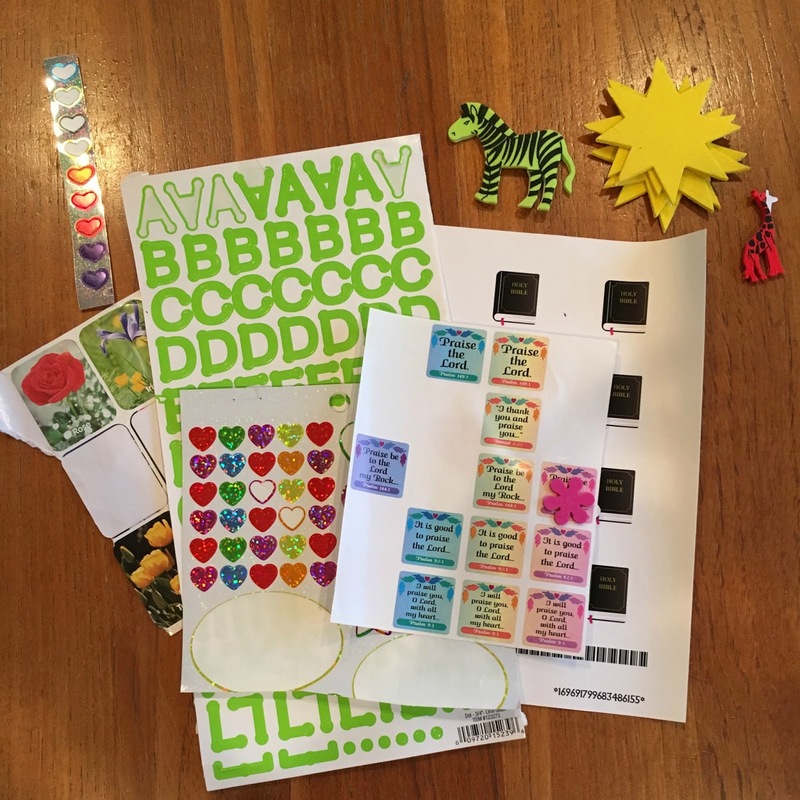 Parent preparation: As you look in God’s Word and pray about what to teach your child, think about if that topic lends itself to using stickers. Stick the stickers and then read the Bible verse. Example: Have your child put lion stickers on a piece of paper and then read about Daniel in the lions den from Daniel chapter 6. Read the Bible verse and then stick the stickers. Example: Read God’s promise to Abraham in Genesis 15:5-6 and then stick star stickers on a piece of paper. Read Bible verses while sticking the stickers. Example: Read verses from Genesis chapter 1 and have your child put corresponding stickers on a piece of paper (stars, animals, trees, flowers are common to find). Sheep: David - 1 Samuel 16:7-13, 1 Samuel 17:34-37. The LORD is my Shepherd - Psalm 23. The angels talking to the shepherds - Luke 2:8-18. Jesus is the good shepherd - John 10:11-14. 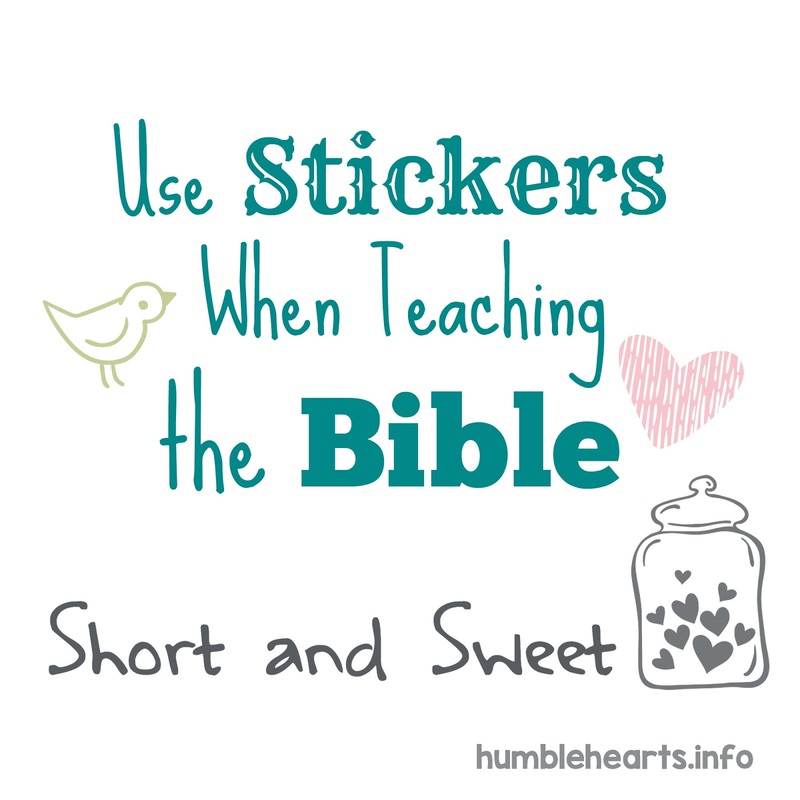 Use Bible verse stickers to decorate a notebook, bookmark, or folder. 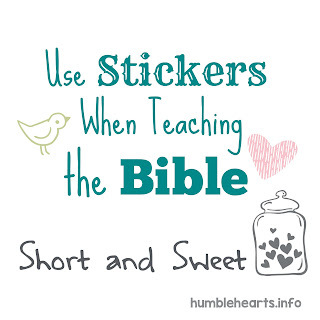 Bible verse stickers can be found at Christian bookstores and Hobby Lobby. Use letter stickers to spell out words (such as: Love, God, Jesus Christ, Bible) or spell out Bible verses.